Have you ever had to run a query on multiple servers? You could connect to each server one by one to run it. Or you could create a script with each instance in it (using the :CONNECT command – see yesterday’s tip). But these are the hard ways of doing it. 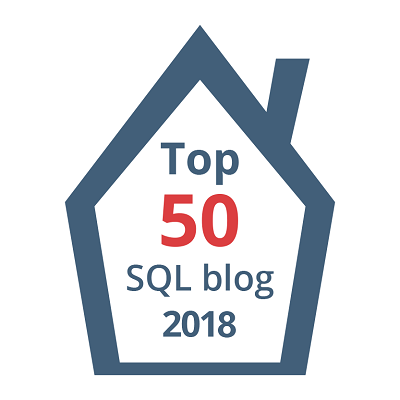 The easier way is to run a multi-server query – a query where you are connected to multiple SQL Server instances from the same query window, and run that query from there. Multi-server queries were introduced in SSMS 2008. There are two ways to accomplish this, and we will cover them both today. Notice that there are two nodes shown. There are the two ways of working with multiple servers: either by the servers that you have registered locally, or by the servers on a Central Management Server (CMS). The main difference between these two methods is that servers registered under CMS will only use windows logins, while those in the local server groups can use SQL Authentication also. By default, all of the SQL Server instances installed on the computer that you are running SSMS from will be under the Local Servers Group. By default, it will be pink. Notice the left side shows the number of instances that you connected to (out of how many are in the group), and the right side shows you the name of the node that you used. The results are displayed in the order that they were returned to SSMS. You cannot order this result set within SSMS. You can see that in addition to being able to include the server name, you can also include the login name used for that instance. The final option is “Merge Results”. You can see in my example that all of the results are in one results grid – they have been merged. This does require that all of the instances return the same columns with the same order and data types. If you set this option to false, each instance will return a separate result grid. The screen shot of the context menu above shows other commands that you can do on multiple registered servers. Object Explorer will open each instance in Object Explorer, and so on. In this manner, I can just select the node that first supports (or last supported) a feature to query about it against all of the servers. A better solution for stress testing would be to use ostress (part of the RMS Utilities) – but this method may help you find and fix some things before you do that. CMS registered instances works the same way. You start off by designating a SQL Server instance as a CMS server, and then you can assign instances to it. Here my SQL2012 instance is a CMS server. Note that the CMS instance itself is not listed. For some reason, a CMS server cannot be registered if it has the same name as what you are trying to register. You can get around this by using a different name. For instance, here I can use (local)\SQL2012. You can also use an IP address. The main benefit of using CMS over registered servers is that many people can connect to the CMS server to use that. Just set it up once, it’s ready to go. While you can share registered servers, you have to export them, and others have to import them. This post is for day nine of my month-long blog series “A Month of SSMS Tips”. I have a landing page for the series at bit.ly/MonthOfSSMS. Please visit this page for an easy place to quickly view all of the other tips in this series.